In Singapore, head injury is one of the most common injuries occurring in children. About 50% of children who seek treatment in the Children’s Emergency for injuries sustained head injuries. More than 80% of head injuries in young children occur at home. Common situations include falls from being left unattended on an adult bed, falls from chairs and tables and falls related to the use of baby walkers and sarong cradles. Most head injuries do not cause complications but sometimes children may have skull fractures and internal brain injuries which can potentially be serious. 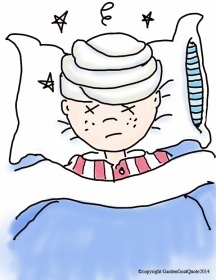 About 20% of the patients seen in the Children’s Emergency for head injuries require treatment by specialists from the Paediatric Neurosurgery Department. You should bring your child to see the doctor if he sustains a head injury. Drowsiness, unconsciousness, vomiting or bleeding from the ears or nose are especially serious symptoms and signs of head injury. Bring the child immediately to the emergency department if any of the following signs and symptoms appear within the first 72 hours after discharge. Nothing can replace close adult caregiver supervision in childhood injury prevention. Children are not able to identify the potential injury hazards in their environment and they need your care and protection. Do not shake violently even when your may feel frustrated or angry. This can cause severe and fatal internal head bleeding. Does My Child Need A Skull X-ray? Skull X-rays help to identify skull fractures. However, they do not directly show brain injury or bleeding within the skull. It is not a reliable indicator of bleeding within the skull or brain injury. Your doctor will examine your child and decide if a skull X-Ray is really necessary. Skull X-rays are seldom necessary. Clinically abnormal signs and symptoms as mentioned above are much more reliable than skull X-rays as predictors of injury or bleeding within the skull. A normal skull X-ray does not rule not bleeding within the skull or brain injury.Close monitoring of the child’s behaviour over the next 72 hours of head injury is still necessary even though the skull X-ray may be normal. If brain injury or bleeding within the skull is suspected, the patient will need urgent CT scan.